Industry hype around Mega Monday confuses most people at this time of year, pundits included. So when does the biggest online shopping day of the year really fall? Is it the last Monday in November, or the first Monday in December? 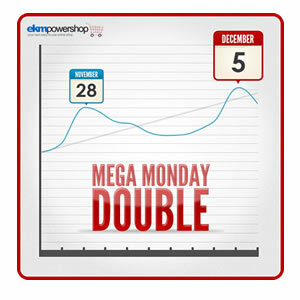 Truth is they’re both ‘Massive Mondays’ in the online shopping calendar, according to ekmPowershop.com's latest research. Last year many news sources rang the bells prematurely, as the first Monday in December trumped the previous Monday by 15% (Ecommerce Software, Dec 2010). As online shopping enthusiasts, have we learnt our lessons and spent big in the last week of November this year? Or are we all still a little bit complacent, leaving things closer to the big day than we should? “We had technicians working through the small hours again yesterday and today monitoring the network, to establish which Monday was truly the biggest. We can confirm that yesterday (Monday 5th December) was marginally bigger than last Monday (27th November), with a gain of just 3.4%. Last year we found that sales on the first Monday in December were 15% higher than the week previous, which is certainly a marked difference. This year the margins are so close, they are pretty much neck and neck - for the size of the sample you could say it was a dead heat! So was yesterday really the biggest online shopping day of the year? Or is every day around this time of year as busy as the next? Is it necessarily a Monday when sales peak? Perhaps it’s a load of PR spin to get us to spend more (The Guardian). 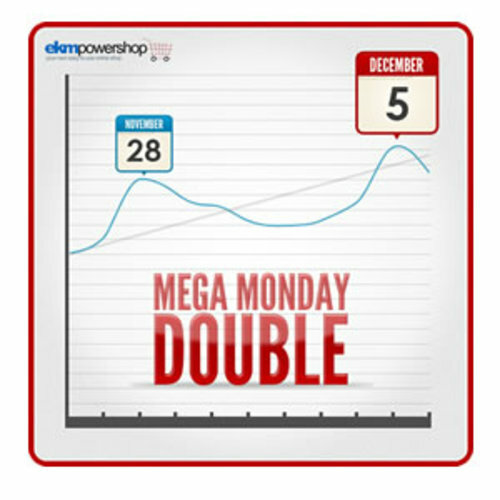 The market intelligence team at ekmPowershop.com are hard at work already to see if we should be looking out for a ‘Whopper Wednesday’ or maybe even a ‘Super Saturday’ in the online run up to Christmas next year. Clients include Lotus Cars, O2, Michelin Tyres, Future Publishing, Madame Tussauds, The NHS, ITV, The BBC and thousands of SMEs. ekmPowershop.com and ekmResponse.com have become the dominant forces in ‘off the shelf’ ecommerce and email marketing throughout the UK and beyond, helping over 17,000 businesses sell their products over the internet since its inception. Other Ekm Systems products and services include website CMS (ekmSiteBuilder.com), Web Design (ekmWebDesign.com), web hosting (ekmHosting.com), Geo IP Redirection (ekmCompass.com), Web Statistics (ekmPinpoint.com), Postcode Lookup (Postcodeferret.com) and digital delivery (ekmDigitalVault.com). This press release was distributed by ResponseSource Press Release Wire on behalf of ekmPowershop.com in the following categories: Leisure & Hobbies, Consumer Technology, Personal Finance, Business & Finance, Media & Marketing, Retail & Fashion, Computing & Telecoms, for more information visit https://pressreleasewire.responsesource.com/about.